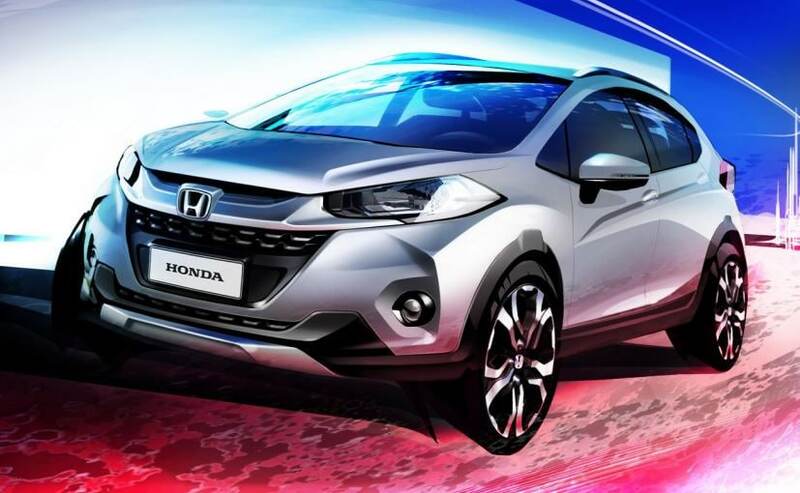 Honda Cars Brazil has released the first official sketches of the WR-V subcompact SUV, ahead of its public debut at the Sao Paulo International Motor Show in November this year. A Ford EcoSport rival, the WR-V is based on the Jazz platform that also underpins the City sedan and will be restricted under the 4-metre mark. What also makes the model extremely interesting is the fact that the WR-V will make it to India as well to take on a host of sub 4-metre SUVs and crossover models. The WR-V crossover has been developed by the R&D team of Honda Cars Brazil. While the Jazz influence is evident, the front gets a more aggressive looking design with the muscular lines on the bonnet, large lower grille, and the chunky bar that holds the big 'H', similar to that seen on the City and Jazz. You can also see the accentuated wheel arches, roof rails and alloy wheels making for a muscular appearance, while the tail light shows a glimpse from the sides, and could be the boomerang shaped ones, similar that seen on the Jazz.